A three-count indictment was unsealed today in federal court in Brooklyn charging Donville Inniss, a former member of the Parliament of Barbados and the Minister of Industry, International Business, Commerce and Small Business Development of Barbados, with conspiracy to launder money and money laundering. The charges stem from Inniss’s acceptance of bribes from a Barbadian insurance company in 2015 and 2016 when he was a public official. Inniss was arrested Friday and was arraigned today before United States Magistrate Judge Julie Sneed in the Middle District of Florida at the federal courthouse in Tampa. Inniss was released on a $50,000 bond. Richard P. Donoghue, United States Attorney for the Eastern District of New York, Brian A. Benczkowski, Assistant Attorney General of the Justice Department’s Criminal Division, and William F. Sweeney, Jr., Assistant Director-in-Charge, Federal Bureau of Investigation, New York Field Office (FBI), announced the indictment. According to the indictment, between August 2015 and April 2016, Inniss engaged in a scheme to accept approximately $36,000 in bribes from high-level executives of an insurance company headquartered in Barbados (“the Barbados Company”) and launder that money through the United States. In exchange for the bribes, Inniss leveraged his position as the Minister of Industry to enable the Barbados Company to obtain two government contracts. Inniss concealed the bribes by arranging to receive them through a dental company and a bank located in Elmont, New York. Barbados Company executives transferred the funds to the dental company using an invoice falsely claiming that the payments were for consulting services. During the time of the charged conspiracy, Inniss was a legal permanent resident of the United States residing in Tampa, Florida and Barbados. Assistant United States Attorney Sylvia Shweder of the Eastern District of New York’s Business and Securities Fraud Section, and Trial Attorney Gerald M. Moody, Jr., of the Criminal Division’s Fraud Section, are in charge of the prosecution. How can this be a ‘simple lil case’ where – FOR THE FIRST TIME EVER, we see a Bajan politician charged SERIOUSLY for a crime that has been accepted by generations of brass bowls (and Lodge parasites) as ‘business as usual’? How can it be a ‘simple lil thing’ when almost EVERY OTHER bribe taker now cannot sleep at night…. cannot take their children to Disney …. cannot look into the faces of the VERY BRASS BOWLS who meekly accepted their previous thievery? This is a game changer Boss…. and like the domino effect, the final outcome may well be be far more drastic than the slight ‘trip’ it takes to set the sequence rolling…. Unfortunately, bushie is into whacking …not fishing. Dear Caswell: I am no Senator, just a well know simpleton, but I would dare to suggest that “yes” Donville, since he is not apparently a citizen of the United States, and remains a citizen of Barbados/a son of our soil, that “yes” he is entitled to consular assistance from the Barbados government diplomatic representatives in the United States. He is still one of ours. His welfare is still our business. Note that I did not say that the Barbados government should give him taxpayers money. So what are the people who now cannot take their children to Disney saying to their children and to the children’s friends and school mates, especially given that pre-schoolers, and elementary aged children like to boast about their summer trips. How will the kids explain why they have remained in Barbados all summer long? What will the kids say to their school mates in September? Better Brandon’s, Bath and Harrisons’s cave now than visit up state NY next year…Sing Sing. As you would say in Quaker speak, Villages…..try communities outside Ocala Fl and see the connection. Your polo playing family would know them. What is a nice Quaker, Christian man like you doing on Naked? i hear that Sing-Sing is fairly tough? Sing Sing is a State Prison, Inniss has been accused of violating Federal laws, if convicted he will be going to a Federal facility. Are federal facilities as tough as or tougher than state facilities? US prisons are not a cake walk, however conditions in Federal Prisons housing white collar criminals are immeasurably better than Prisons housing other criminals. I think he is passed now but in his day he was linked to “The Villages” but in Florida. Tax evasion …. money laundering ….. Barbados links!!!! You were able to verify this how John? Doc Morley wrote an article on South Coast Sewage on Naked Departure … republished on BU!!!! Donville had a lot to say on Charles Herbert … on Naked Departure. We have Well Well & Cut N’ Paste At Your Service to thank for the link!! What does “Naked Departure” and Donville have in common? “BARBADOS (Naked Departure) — THE SLOW POISONING OF BARBADIANS — Dr Harold Morley here, a retired Dental Surgeon — I am a UK citizen but have been living here for 17 years in Christ Church just next to the site of the sewerage blockage. I have been out many nights recently at 2am watching the crews working hard and trying to offer my help and expertise as a concerned resident and experienced international project implementer . The BWA engineers working through the night are good people but they are working in a fog and without proper direction, clarity of thought or a recognition of the immense harm being committed to the citizens and holidaymakers of Barbados and their country’s economy. The BWA, the Ministry and the non functioning government are criminally negligent in my view. They are poisoning the nation, the sea, and the environment and not taking this catastrophy seriously. I would ask why am I alone in the street at night. This area is a major health hazard and people shouldn’t even be allowed near it. I understand that for reasons known only to their BWA secret group, private local contractors offering their expertise and solutions at SENSIBLE and affordable cost are being rejected out of hand from even entering discussions . For example why was POLLY ignored and turned away when they offered to clear the problem weeks ago. POLLY has successfully cleared sewer pipes in Barbados for years now. Why were the Barbados Engineers rejected when they offered consultancy for free. Is the BWA frightened of lifting its skirts and being investigated by outsiders, or of having to explain its huge spending on projects that logic would say should be a fraction of the eventual spend. I really worry for this wonderful country. It is in extreme danger of committing commercial suicide and/ or poisoning its citizens and visitors. Only this morning I saw and smelled what looked like raw sewerage being discharged from Graeme Hall swamp outlet, through the sluice gates directly into the sea. How, I ask can this be lawful. Why is this beach not closed to bathers. Who is criminally responsible for this blatant poisoning of Graeme Hall natural waters. Villages developer H. Gary Morse not only is building what is considered the fastest growing retirement community in the nation, but also has a hand in $750 million marina project under way on the Caribbean island of Barbados. Morse is a shareholder along with four others in the 15-acre Port Ferdinand marina project in St. Peter that will provide 300 jobs when completed. Ground was broken in 2009 and the first phase of the five-year project is expected to be finished by December. The first of the project’s 96 resort condominium units went on sale earlier this year. Port Ferdinand neighbors Barbados’ only other private luxury marina, Port St. Charles; a sister marina for which residents of Port Ferdinand will have membership to the exclusive yacht club. Morse owns Cracker Bay, a 147-foot yacht last spotted at Port St. Charles in 2009. “At this time when investors are running for the hills, (Morse) is contributing to the economic well-being of Barbados, as well as helping us to keep more than 1,000 workers at Jada employed,” Bjerkhamn said. De ole man forgives you because i know that this summer heat causes heatstrokes especially in ole menses. but it ent your fault that you getting slower in your ole age DIW, it is the way of all flesh. Mia is faithful to her friends is all that I going say bout dis. De Honourable Blogmaster dun know whu going on in this regard but he is being even more ammmm circumspect than all of we. Hear Doc Morley likes polo. Suspect Donville is small potatoes!! in your icij frame of mind, Housing Concepts SRL is Coverly. Bjerkham and Maloney … since 2009. When did construction at “The Villages” commence at Coverly? Oh, by the way, did you know that Coverly is named after what may possibly have been a Quaker family? Thomas Coverley owned 80 acres in the area in 1654. There were two burial vaults on the hill which I believe were there from 1683. Here is who I believe was in one. The reference to a Garden tells close by the vault is where numerous slaves were at one time buried. All remains have been cleared in the construction. Can still locate fields on maps with names like Vault Field and Garden!! So “The Villages” seems to have been built over a cemetery!!! The film Poltergeist comes to mind!! … sorry, not cemetery, Burying Ground is the correct term!! If am wondering if Donville did as the Americans allege, would it have been worth it? I mean we do pay our Cabinet Ministers fairly well, and we do provide decent pensions, and the Barbados taxpayers provide education for their children up to and including student’s loans of up to $100,000 BDS so it would seem to me that no member of our political class needs to do what the Americans allege that Donville has done. It seems to me that a Bajan politico can live decently if modestly right up to his time of death at about 73.1 years. At 32 Donville only has about 20 years left, his children are adults, and he has a pension greater than $5,000 BDS a month. It seems to me that a politico can live decently, if not flamboyantly on that. Has the government of Barbados frozen his pension payments until the outcome of his legal troubles in the United States are known? It seems to me that we should do that. If he is acquitted he can always be paid retroactively. If he is convicted his pension money remains in the hands of the Bajan taxpayer. It is interesting that I can go on the internet a see what matters will be heard by the court in New York, which judge, etc while in Barbados I don’t even know where the court is located far less what matters are to be heard! Yet we have a Chief Justice who was a clerk in the New York court system just before being appointed CJ. One hires a clerk with the expectation that they will take instructions doggedly …. not to drive change in a contaminated system. For the latter you would hire a proven leader with a history of successful projects under their belt… and an unwavering commitment to quality. LOL. I well remember that the rules/laws had to be changed to facilitate the present CJ’s appointment. Even Jeff Cumberbatch thought him the best thing since sliced bread! Even Jeff Cumberbatch thought him the best thing since sliced bread! The clerk COULD have turned out to be a genuine change agent….. But, as we have come to discover, no damn fruit….. If Jeff had a whacker (instead of a powder puff) he would take a serious whack at the base of that barren tree…..
Former Minister of Commerce and International Business Donville Inniss arrived at US District Court earlier this morning. If you look at the schedule you will see 30 minutes per case!! There are others that are allocated 15 minutes. So these courts in the US move real cases in a day. Yes. Because the Americans don’t practice no lotta long talk. The cases scheduled for 9:30 to 11: today have already been acted on. Either the same day or the day after a defendant is arrested and charged, he is brought before a magistrate judge for an initial hearing on the case. At that time, the defendant learns more about his rights and the charges against him, arrangements are made for him to have an attorney, and the judge decides if the defendant will be held in prison or released until the trial. In many cases, the law allows the defendant to be released from prison before a trial if he meets the requirements for bail. Before the judge makes the decision on whether to grant bail, he must hold a hearing to learn facts about the defendant including how long the defendant has lived in the area, if he has family nearby, his prior criminal record, and if he has threatened any witnesses in the case. The judge also considers the defendant’s potential danger to the community. If the defendant cannot “post bail” (pay the money), the judge may order him remanded into the custody of the U.S. Marshals pending trial. The defendant will also be asked to plead guilty or not guilty to the charges. I noticed that everybody arrived nice and early, American time, 10 something for a hearing which does not begin until noon. Case is ongoing, stay tuned! Donville’s arraignment is done for today. What has been the outcome David? He entered a plea of not guilty and was released with similar bail conditions. He can now travel to Florida. Next court date 23 Oct.
Former Minister of Commerce and International Business Donville Inniss could spend up to 20 years in jail and be fined up to BDS$1 million if convicted of bribery charges in the United States. Inniss has a date with destiny in a New York courthouse at noon today, when he will be arraigned on three counts of money laundering. The Eastern District of New York’s press officer John Marzulli told the NATION on Wednesday that based on New York law (18 US Code 1956), the former Member of Parliament would face a maximum sentence of up to 20 years in a federal prison on each count. Hope he has the right legal team to get an acquittal. He will probably have to face the courts of Barbados if PMMIAAMOR carries out the BLiP campaign promises. Donville appears fairly relaxed in the video. No worries. He got this! Foolish trump up charges my boy Donville will easily win this case. Dat is the norm bout here. Buhbaydoss is a “klepto paradise”. That aint changing in we lifetime. 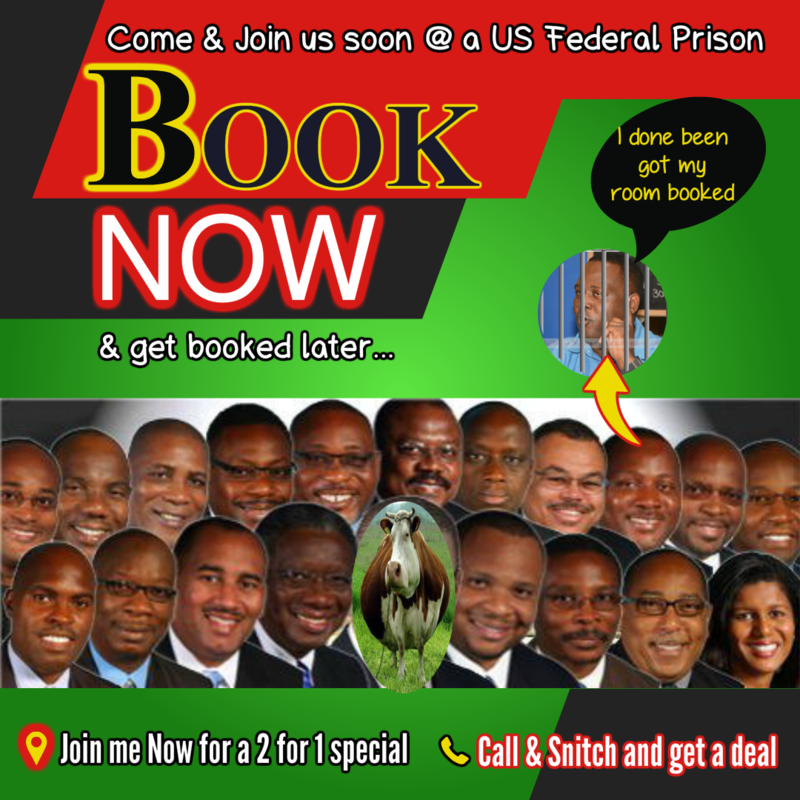 The news circling on the travel circles is that the US Government has a special going on for Travel where If you book now you can get a discount on your years in prison IF YOU SNITCH ON YOUR FELLOW MINISTERS and business associates. 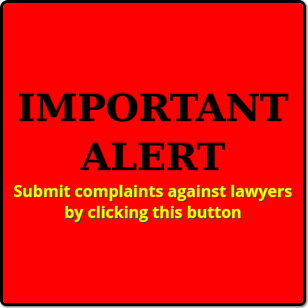 If reports are true that the US Department of Justice will not be pursuing charges against ICBL, the insurance company alleged to be involved in the Donville Inniss case, then something is wrong. In bribery charges, there must be an offer and an acceptance. If they are alleging Mr Inniss accepted money illegally, then that money must have been offered by someone. It is a further example of the fractures in the American justice system. Nevertheless, this has nothing to do with the pace of justice in Barbados and there must be a full inquiry in to the Donville Inniss case. In fact, it should have been launched the moment he was arrested in the US. Home Affairs Minister Edmund Hinkson wants regulators to act wherever the law allows against ICBL, whose overseas parent has admitted that the local firm paid a bribe for a Government insurance contract. The St James North MP was responding to constituents who queried why local regulators have remained quiet about ICBL over the alleged bribery scandal and whether the company will face any consequences. Here is the minister of Home Affairs, not a junior minister, wondering about the effectiveness of our financial regulators and the criminal justice system. In the meantime, the company involved in the alleged bribery, is being allowed to function freely. Barbados is a failed state. Donville Inniss, a former Barbados cabinet minister and parliamentarian, is to stand trial on bribery and money-laundering charges in a Brooklyn federal court on June 24, next year. The date was decided this afternoon by federal District Judge Kiyo Matsumoto in consultation with Sylvia Shweder, an assistant United States attorney, and Inniss’ defence attorney, Garnett Sullivan, after the court heard that plea bargain negotiations by the two sides had “stalled” or broken down. The former minister was charged in an indictment with one count of conspiracy to launder money and two counts of money laundering. The indictment was returned under seal by a federal grand jury sitting in Brooklyn on March 15. HERE IS WHY, UNLESS DONVILLE INNISS GIVES UP A FEW MORE PEOPLE WHO ARE BIGGER THAN HE IS, he is going to get locked up. “…A former Voc Rehab Counselor pled guilty this week to demanding and receiving bribes to steer veterans to certain for-profit schools for vocational training. Former counselor James King, 63, arranged payments to the institutions in question totaling over $2 million in taxpayer monies. He pled guilty to an Information alleging one count of honest services and money/property wire fraud, one count of bribery, and one count of falsifying records to obstruct an administrative investigation. King is the fourth person to plead guilty in connection to the criminal fraud scheme. In April, Albert Poawui and Sombo Kanneh pleaded guilty to bribing and conspiring to bribe King, respectively. In July, Michelle Stevens pleaded guilty to bribing King. “For years, James King and his criminal associates defrauded an important VA program that provides education services to military veterans who served our country,” said Assistant Attorney General Benczkowski. Talk what wunna like, even if Donville and Mia is good friends, he going get time in america CAUSE DEM DOAN PLAY like how we does let men who pun drug charges leave the jurisdiction. “An Aruban official residing in Florida pleaded guilty today to money laundering charges in connection with his role in a scheme to arrange and receive corrupt payments to influence the awarding of contracts with an Aruban state-owned telecommunications corporation. U.S. Attorney Benjamin G. Greenberg of the Southern District of Florida, Acting Assistant Attorney General John P. Cronan of the Department of Justice’s Criminal Division and Special Agent in Robert F. Lasky of the FBI’s Miami Field Office made the announcement. Egbert Yvan Ferdinand Koolman, 49, a Dutch citizen residing in Miami, Florida, was an official of Servicio di Telecommunicacion di Aruba N.V. (Setar), an instrumentality of the Aruban government. Koolman pleaded guilty before U.S. District Judge Frederico A. Moreno of the Southern District of Florida to one count of conspiracy to commit money laundering. He is scheduled to be sentenced on June 27. In connection with the scheme, Lawrence W. Parker, Jr., 42, of Miami, pleaded guilty on Dec. 28, 2017 to one count of conspiracy to violate the Foreign Corrupt Practices Act (FCPA) and to commit wire fraud. Parker’s sentencing is scheduled for April 30. According to admissions made as part of his plea agreement, between 2005 and 2016, Koolman operated a money laundering conspiracy from his position as Setar’s product manager. Koolman admitted that, as part of the scheme, he conspired with Parker and others to transmit funds from Florida and elsewhere in the United States to Aruba and Panama with the intent to promote a wire fraud scheme and a corrupt scheme that violated the FCPA. Koolman was promised and received bribes from individuals and companies located in the United States and abroad in exchange for using his position at Setar to award lucrative mobile phone and accessory contracts, he admitted. He received the corrupt payments via wire transfer from banks located in the United States, in cash during meetings in Miami and in Aruba, and by withdrawing cash in Aruba using a bankcard that drew money from a United States-based bank account, he further admitted. In exchange for the more than $1.3 million in corrupt payments that he received, Koolman also admitted providing favored vendors with Setar’s confidential information. There is paying lip service and there is being serious. Has Barbados launched an inquiry in to the Donville affair? Has the BLP government ordered a review of the Clico judicial review? Has the BLP government introduced legislation limiting general election expenses – and barring foreigners from being involved in Barbadian elections? Keep an eye on the Sandbox. It will end in tears. Barbados is a failed state. I will have to answer no to all of your questions. We all know how things roll in Barbados. Question. How has Barbados managed to maintain such a squeaky and clean image since her independence? I am truly puzzled. Should we assume that there are a number of foreign governments who are protecting which ever government is in power? Is Barbados the Israel of the Caribbean? If this is the case than the majority population may have to get used to living a miserable existence in perpetuity. I hope to live to see the day when the UK brings an Unexplained Wealth Order against the British royal family and their tens of thousands of hangers-on. I hope to live to see the day when Barbados brings an Unexplained Wealth Order against members of the existing BLP government, their predecessors and the Owen Arthur government. Thank God for Global Witness. The methodology employed in order to generate vast illegal wealth is well-known. For corruption to thrive it requires a corrupt government. Secondly it requires bent lawyers. And thirdly it requires corrupt businesses to oil the wheels of corruption with monies. The same corrupt model is employed throughout the world; and in Barbados. There’s a major development in the money laundering case involving former Commerce Minister, Donville Inniss. Two more high level local officials have been indicted. They are former ICBL Chief Executive Officer Ingrid Innes and the company’s former Senior Vice President Alex Tasker, who is the current CEO of Digicel. They have been identified in a superseding indictment unsealed today, however neither Innes nor Tasker is in custody. The document also makes reference to another former senior ICBL employee, calling that person ICBL Executive 1 and saying the individual was the company’s Chief Financial Officer. According to the company’s published 2015 and 2016 reports Kamante Millar,C.P.A., C.A. was Chief Financial Officer.